THE Reserve Bank of Zimbabwe (RBZ) has put into motion studies to investigate blockchain technology as it is a new developing global innovation. 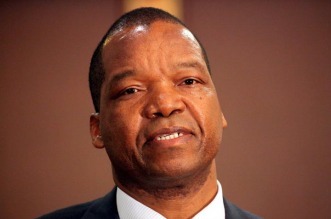 RBZ governor John Mangudya told guests attending Alpha Media Holdings’ Banks and Banking breakfast meeting in Harare yesterday that the central bank wanted to embrace blockchain technology. “I did not say cryptocurrencies because it is lower than blockchain. Block chain encompasses all the cryptocurrencies such as bitcoin and all the cryptocurrencies and we are saying we are putting in motion studies, ways and means of investigating that blockchain technology,” he said. “In fact, it is true that for the rest of the world, if you go to countries like United States, China, United Kingdom, and South Africa it (blockchain) is the issue that is being discussed by the central banks, including the likes of the International Monetary Fund. He said the central bank was working towards moving in the direction of blockchain so as not to be left out, adding that there was need for a cautious approach. Mining, in the context of blockchain technology, is defined as the “process of adding transactions to the large distributed public ledger of existing transactions, known as the block chain”. Transactions are recorded into the blockchain with a consensus achieved by a proof-of-work system called mining. Upon reconnection, a node downloads and verifies new blocks from other nodes to complete its local copy of the blockchain. The term is best known for its association with bitcoin, the world’s largest cryptocurrency. Mangudya’s comments come as the central bank was being accused of not wanting to adopt the technology after banning the trade of cryptocurrencies. In May, RBZ issued an order preventing banks and financial institutions from dealing with anything related to the virtual currencies despite having met with Bitfinance Private Limited a few days earlier to discuss its uses. Bitfinance is the holding company of the country’s largest cryptocurrency exchange, Golix which has 50 000 clients. RBZ also banned Golix from operating. High Court judge Justice Alphas Chitakunye lifted the ban on the trading of cryptocurrencies. But, while Golix could resume its operations, the ban on banks and financial institutions not to deal with anything blockchain-related still stood, forcing the company to look for outside markets.